Train to become a Plumber — at home, at your own pace, with Penn Foster Career School International. And you’ll learn it all at home — no classroom needed! This Penn Foster distance learning program is like having your own personal Plumber school! Request information or enroll online and you could be working on your first lesson – and toward a new career – in a matter of minutes!! 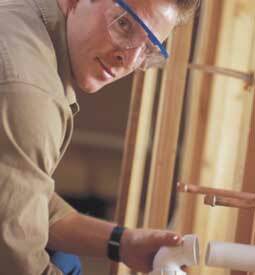 Get more information today and in as little as nine months from enrollment, you can be on your way to a career as a professional Plumber.